Applying mascara gives me more satisfaction than it probably should. I love everything about the process: from the pop of the tube as you pull out the wand, to the layers of thick black goop and the motions of coating your lashes in an upward motion to reveal a flutter you never knew was there. It’s equally as addictive as it is comforting, which is partly the reason I’m always up for trying new launches and cult classics – to see what momentary pleasures they can provide. One of the things I’ve learned about mascara over the years is that the price tag in no way reflects the quality; I’ve tried cheap ones that are blooming amazing and expensive ones that are utterly useless, but I’ve also tried the opposite. You really have to take a leap of faith and put them to the test yourself, especially as we all tend to look for slightly different things from these tubes of black stuff (whether that’s lengthening, volumising, curling, separating or a combination of them all.) One of the products I keep going back to right now because it ticks all my boxes is Maybelline’s Collosal Big Shot Mascara, and I may even go as far as saying it’s the best budget mascara I’ve tried all year. 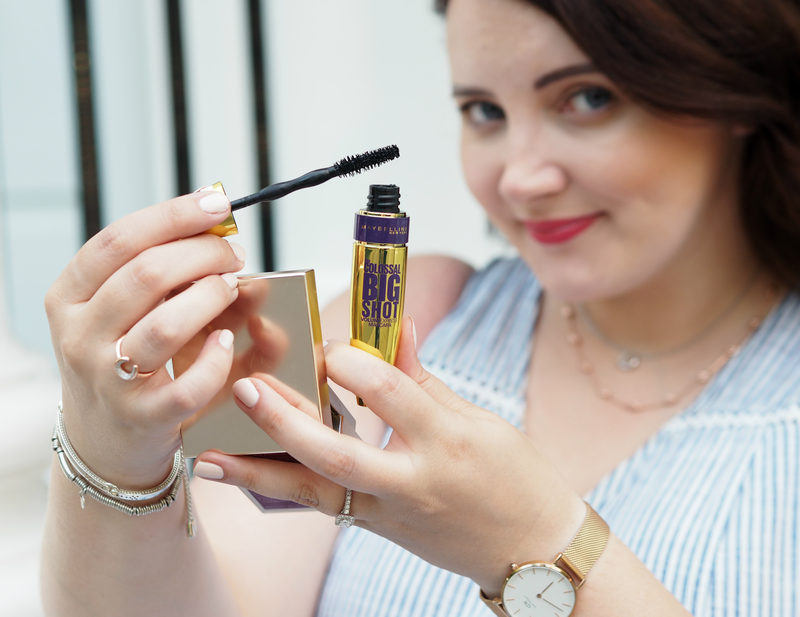 Once you get past the rather gordy blingtastic golden tube, Collosal Big Shot Mascara has the potential to actually be a real staple in practically every makeup bag. The slightly stumpy looking brush and messily arranged bristles actually help to capture all the product you need and coat each lash with ease; I personally find it effortlessly coats all my lashes and helps to lift and seperate, creating a lash line that’s full of volume and ensures my eyes look wide awake. Even though I sometimes apply five or six layers to get the result I want, it doesn’t clump and it doesn’t smudge – the finished look is just a set of lashes I’m proud to leave bare. 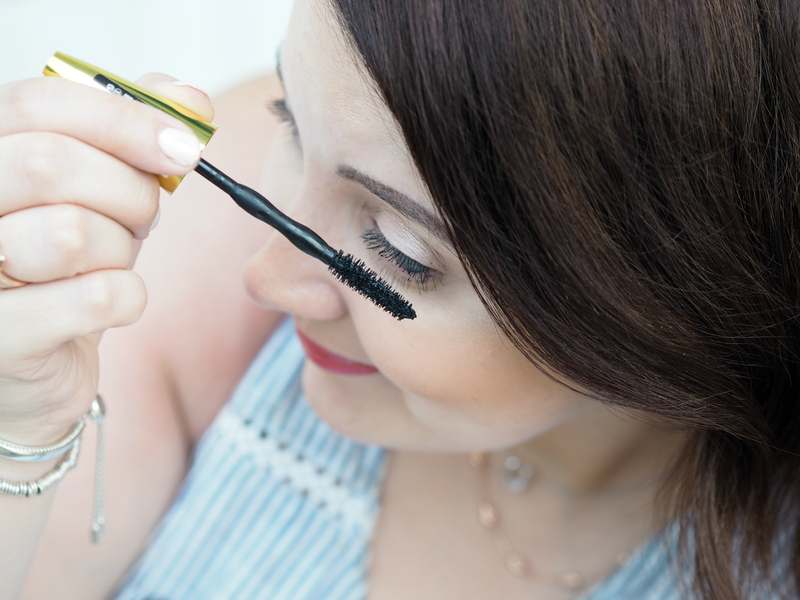 I can be quite dubious when it comes to mascaras that make big claims, have bold names or even bolder packaging (anything that needs to get your attention that much often doesn’t have the power to back it up,) but this proved me wrong. With just one application lashes are left looking longer and full of volume, but with multiple coats the result just gets better – and for £7.99 you just can’t say no. Maybelline are one of those brands that get it wrong just as often as they get it right, but I’m pleased to say this exceeded my expectations and then some… Once it runs out I’m going in for a second hit, no doubt about it. Have you tried this mascara yet? Are there any other budget mascaras you just can’t get enough of? Maybelline’s Collosal Big Shot Mascara is available now, priced £7.99, from everywhere you usually buy your mascara! I wish Covergirl was still available in the UK – they have so many great gems! I have heard this too many times now. And I don't think I can deny my self from trying it anymore – it sounds to good to be true for that price. I love this mascara at the moment. Mine's starting to dry up now so I bought a backup-it was only £5.99 in Superdrug and was also part of a 3 for 2 offer, bargain! I saw it as a 3for2 in Boots over the weekend too! 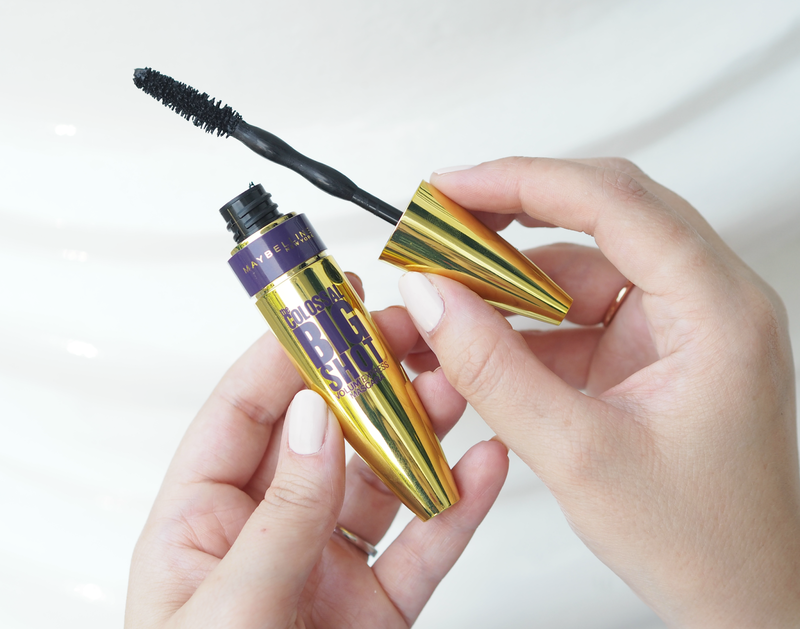 I didn't really get on with that one – I think it's a love or hate it mascara! Maybelline mascaras are my must-haves! I've tried the pricey ones from Lancome and Dior but I always go back to Maybelline because they're affordable and haven't let me down yet. Currently, I only have three mascaras on hand: Mega Plush and The Falsies from their Volum' Express line, and Define-A-Lash. I'm on the look out for a new mascara and this did catch my eye but I'm even keener to give it a whirl now. Thanks for the heads up! I REALLY enjoy this one, even though I usually go for plastic bristled brushes. There's something about the shape that means you can really get in and work it into your lashes, and the effect reminds me of that false lash fluffy effect. So good! Great post and this sounds like a great mascara. I try not to spend a lot on mascara as I don't think the expensive ones are better than these budget ones and more often than not, the budget ones are actually better than the expensive ones. Some of the Loreal ones are also great and I will surely be trying this one out! Need a close up photo of your eyelashes to be convinced! There's one right up there…! But it's not about what it looks on my lashes, it's about the results it provides. It's incomparable if I have short stubby lashes and you long lush ones, or vice versa.